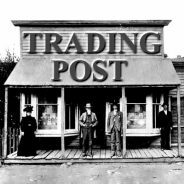 Click here to submit your Tradin’ Post Item Online. Baby Bed For Sale. Gerry Brand. Excellent condition Asking $10 Call for more information. 903-885-2735 For Sale: a leather recliner rocker. This is a large chair. “Very comfortable.” Beige in color. “In good condition.” It does have one stain on the foot rest. Asking $75.00 for it. If interested, or for more info., please call 903-885-2045. Needing: a handyman for a small porch roof repair. If you can help, or for more details, please call 903-885-9464. Help Wanted: First Christian Church in Paris is in need of a part time music director. Pay is $12,000.00 a year. If interested email the church at [email protected], or call 903-785-5516. Wanting: someone to mow a yard. It is a small yard in town. Located at 609 Jefferson St. If you can mow this yard, please call Mrs. Jere [Jerry] C. at 903-885-9464. For Sale: (A list of 5 items.) #1.) four BF Goodrich LT275-65R18 all terain tires. “They have less than 40 miles on them.” Asking $800.00 for them. #2.) a GE 5050 BTU air conditioner. It’s “almost new.” Asking $145.00 for it. #3.) a new gray vinal sheet. Measures 13.2X12.10. Asking $75.00 for it. #4.) Also, for sale, sculptured carpet in a neutral color. Measures 12X13. Asking $125.00 for it. And, a 10X14.4 sheet of carpet. Asking $75.00 for it. If interested in any of these items, or for more details, please call 903-885-6266 after 5PM. Leave a message if no anwer. Lost: a Stihl Backpack Blower. Was last seen March 11th within city limits. If you have found this blower, or for more info., please call 903-439-5600. For Sale: used carpet. “It’s in perfect condition.” This party is remodeling. Room size is 15′ X 13 and a half feet. The carpet is gray tweed. Asking $100.00 for it. Also, for sale, laminate locking wood floor pieces. “Like new.” Oak looking color. Room size 16′ X 23′. Asking $300.00 for it all. And, also for sale, a beige wide soft corduroy love seat. “Perfect condition.” Asking $150.00 for it. If intetested in any of these items, or for more info., please call 903-348-5820. For Sale Like new Justin cowboy boots size 9 1/2 D, $75.00 Several Pkg’s of 20 Pull Up Briefs for elderly $7.50 each Call 903-885-3420 Laminate locking wood flooring, we are remodeling and must remove. Color is tidewater oak approx 400 sqft. $400. 903 348 5820. Free to good home, part Blue Healer part lab, see at 806 Alabama St, apt 1. 903 335 8424 Upright freezer $80 920-426-0020 For Sale: a 20′ long Wild Wood camper. It has all that is needed for camping. If interested, or for more details, please call 903-885-6676. For Sale: a “clean” white microwave. Only used for about two months. Asking $20.00 for it. If interested, or for more info., please call 903-441-4517. Wanting: a good used sofa bed for a family in need. If you have one you no longer need, or for more details, please call 281-787-2779. For Sale: (A list of six items.) #1.) a “beautiful” brown leather sofa/love seat combination. Asking $400.00 OBO. #2.) a western wood queen size bed. Asking $225.00 OBO. #3.) matching western wood nightstands. #4.) two extra long twin size beds with mattresses and box springs. They are “almost new.” Asking $150.00 each. #5.) Also, for sale, two antique dressers for $75.00 each, OBO. #6.) And, many other items for sale. If interested, or for a complete list of items for sale, call 214-728-7222. For Sale: a Double Maple dresser and mirror. Asking $100.00 for it. Also, for sale, a Hardrock Maple Dining Table and six chairs. Asking $400.00 for the set. And, a King size bed frame for $40.00. If interested, or for more info., please call 903-348-5820. For Sale: a 50 gallon fish tank. This party set it up but decided it was too small for what they needed. “No cracks.” Includes the pump, rocks, and flowers. Asking $100.00 for it all. Also, for sale, a Back and Decker Juicer. “Used only once.” Asking $15.00 for it. If interested, or for more info., please call, or text, 903-441-4517. Leave a message if no answer. For Sale: a leather recliner rocker. This is a large chair. “Very comfortable.” Beige in color. “In good condition.” It does have one stain on the foot rest. Asking $75.00 for it. If interested, or for more info., please call 903-885-2045. Needing: a handyman for a small porch roof repair. If you can help, or for more details, please call 903-885-9464. Help Wanted: First Christian Church in Paris is in need of a part time music director. Pay is $12,000.00 a year. If interested email the church at [email protected], or call 903-785-5516. Wanting: someone to mow a yard. It is a small yard in town. Located at 609 Jefferson St. If you can mow this yard, please call Mrs. Jere [Jerry] C. at 903-885-9464. For Sale: (A list of 5 items.) #1.) four BF Goodrich LT275-65R18 all terain tires. “They have less than 40 miles on them.” Asking $800.00 for them. #2.) a GE 5050 BTU air conditioner. It’s “almost new.” Asking $145.00 for it. #3.) a new gray vinal sheet. Measures 13.2X12.10. Asking $75.00 for it. #4.) Also, for sale, sculptured carpet in a neutral color. Measures 12X13. Asking $125.00 for it. And, a 10X14.4 sheet of carpet. Asking $75.00 for it. If interested in any of these items, or for more details, please call 903-885-6266 after 5PM. Leave a message if no anwer. Lost: a Stihl Backpack Blower. Was last seen March 11th within city limits. If you have found this blower, or for more info., please call 903-439-5600. For Sale: used carpet. “It’s in perfect condition.” This party is remodeling. Room size is 15′ X 13 and a half feet. The carpet is gray tweed. Asking $100.00 for it. Also, for sale, laminate locking wood floor pieces. “Like new.” Oak looking color. Room size 16′ X 23′. Asking $300.00 for it all. And, also for sale, a beige wide soft corduroy love seat. “Perfect condition.” Asking $150.00 for it. If intetested in any of these items, or for more info., please call 903-348-5820. For Sale Like new Justin cowboy boots size 9 1/2 D, $75.00 Several Pkg’s of 20 Pull Up Briefs for elderly $7.50 each Call 903-885-3420 Laminate locking wood flooring, we are remodeling and must remove. Color is tidewater oak approx 400 sqft. $400. 903 348 5820. Free to good home, part Blue Healer part lab, see at 806 Alabama St, apt 1. 903 335 8424 Upright freezer $80 920-426-0020 For Sale: a 20′ long Wild Wood camper. It has all that is needed for camping. If interested, or for more details, please call 903-885-6676. For Sale: a “clean” white microwave. Only used for about two months. Asking $20.00 for it. If interested, or for more info., please call 903-441-4517. Wanting: a good used sofa bed for a family in need. If you have one you no longer need, or for more details, please call 281-787-2779. For Sale: (A list of six items.) #1.) a “beautiful” brown leather sofa/love seat combination. Asking $400.00 OBO. #2.) a western wood queen size bed. Asking $225.00 OBO. #3.) matching western wood nightstands. #4.) two extra long twin size beds with mattresses and box springs. They are “almost new.” Asking $150.00 each. #5.) Also, for sale, two antique dressers for $75.00 each, OBO. #6.) And, many other items for sale. If interested, or for a complete list of items for sale, call 214-728-7222. For Sale: a Double Maple dresser and mirror. Asking $100.00 for it. Also, for sale, a Hardrock Maple Dining Table and six chairs. Asking $400.00 for the set. And, a King size bed frame for $40.00. If interested, or for more info., please call 903-348-5820. For Sale: a 50 gallon fish tank. This party set it up but decided it was too small for what they needed. “No cracks.” Includes the pump, rocks, and flowers. Asking $100.00 for it all. Also, for sale, a Back and Decker Juicer. “Used only once.” Asking $15.00 for it. If interested, or for more info., please call, or text, 903-441-4517. Leave a message if no answer. Help Wanted: First Christian Church in Paris is in need of a part time music director. Pay is $12,000.00 a year. If interested email the church at [email protected], or call 903-785-5516. Wanting: someone to mow a yard. It is a small yard in town. Located at 609 Jefferson St. If you can mow this yard, please call Mrs. Jere [Jerry] C. at 903-885-9464. For Sale: (A list of 5 items.) #1.) four BF Goodrich LT275-65R18 all terain tires. “They have less than 40 miles on them.” Asking $800.00 for them. #2.) a GE 5050 BTU air conditioner. It’s “almost new.” Asking $145.00 for it. #3.) a new gray vinal sheet. Measures 13.2X12.10. Asking $75.00 for it. #4.) Also, for sale, sculptured carpet in a neutral color. Measures 12X13. Asking $125.00 for it. And, a 10X14.4 sheet of carpet. Asking $75.00 for it. If interested in any of these items, or for more details, please call 903-885-6266 after 5PM. Leave a message if no anwer. Lost: a Stihl Backpack Blower. Was last seen March 11th within city limits. If you have found this blower, or for more info., please call 903-439-5600. For Sale: used carpet. “It’s in perfect condition.” This party is remodeling. Room size is 15′ X 13 and a half feet. The carpet is gray tweed. Asking $100.00 for it. Also, for sale, laminate locking wood floor pieces. “Like new.” Oak looking color. Room size 16′ X 23′. Asking $300.00 for it all. And, also for sale, a beige wide soft corduroy love seat. “Perfect condition.” Asking $150.00 for it. If intetested in any of these items, or for more info., please call 903-348-5820. For Sale Like new Justin cowboy boots size 9 1/2 D, $75.00 Several Pkg’s of 20 Pull Up Briefs for elderly $7.50 each Call 903-885-3420 Laminate locking wood flooring, we are remodeling and must remove. Color is tidewater oak approx 400 sqft. $400. 903 348 5820. Free to good home, part Blue Healer part lab, see at 806 Alabama St, apt 1. 903 335 8424 Upright freezer $80 920-426-0020 For Sale: a 20′ long Wild Wood camper. It has all that is needed for camping. If interested, or for more details, please call 903-885-6676. For Sale: a “clean” white microwave. Only used for about two months. Asking $20.00 for it. If interested, or for more info., please call 903-441-4517. Wanting: a good used sofa bed for a family in need. If you have one you no longer need, or for more details, please call 281-787-2779. For Sale: (A list of six items.) #1.) a “beautiful” brown leather sofa/love seat combination. Asking $400.00 OBO. #2.) a western wood queen size bed. Asking $225.00 OBO. #3.) matching western wood nightstands. #4.) two extra long twin size beds with mattresses and box springs. They are “almost new.” Asking $150.00 each. #5.) Also, for sale, two antique dressers for $75.00 each, OBO. #6.) And, many other items for sale. If interested, or for a complete list of items for sale, call 214-728-7222. For Sale: a Double Maple dresser and mirror. Asking $100.00 for it. Also, for sale, a Hardrock Maple Dining Table and six chairs. Asking $400.00 for the set. And, a King size bed frame for $40.00. If interested, or for more info., please call 903-348-5820. For Sale: a 50 gallon fish tank. This party set it up but decided it was too small for what they needed. “No cracks.” Includes the pump, rocks, and flowers. Asking $100.00 for it all. Also, for sale, a Back and Decker Juicer. “Used only once.” Asking $15.00 for it. If interested, or for more info., please call, or text, 903-441-4517. Leave a message if no answer. Wanting: someone to mow a yard. It is a small yard in town. Located at 609 Jefferson St. If you can mow this yard, please call Mrs. Jere [Jerry] C. at 903-885-9464. For Sale: (A list of 5 items.) #1.) four BF Goodrich LT275-65R18 all terain tires. “They have less than 40 miles on them.” Asking $800.00 for them. #2.) a GE 5050 BTU air conditioner. It’s “almost new.” Asking $145.00 for it. #3.) a new gray vinal sheet. Measures 13.2X12.10. Asking $75.00 for it. #4.) Also, for sale, sculptured carpet in a neutral color. Measures 12X13. Asking $125.00 for it. And, a 10X14.4 sheet of carpet. Asking $75.00 for it. If interested in any of these items, or for more details, please call 903-885-6266 after 5PM. Leave a message if no anwer. Lost: a Stihl Backpack Blower. Was last seen March 11th within city limits. If you have found this blower, or for more info., please call 903-439-5600. For Sale: used carpet. “It’s in perfect condition.” This party is remodeling. Room size is 15′ X 13 and a half feet. The carpet is gray tweed. Asking $100.00 for it. Also, for sale, laminate locking wood floor pieces. “Like new.” Oak looking color. Room size 16′ X 23′. Asking $300.00 for it all. And, also for sale, a beige wide soft corduroy love seat. “Perfect condition.” Asking $150.00 for it. If intetested in any of these items, or for more info., please call 903-348-5820. For Sale Like new Justin cowboy boots size 9 1/2 D, $75.00 Several Pkg’s of 20 Pull Up Briefs for elderly $7.50 each Call 903-885-3420 Laminate locking wood flooring, we are remodeling and must remove. Color is tidewater oak approx 400 sqft. $400. 903 348 5820. Free to good home, part Blue Healer part lab, see at 806 Alabama St, apt 1. 903 335 8424 Upright freezer $80 920-426-0020 For Sale: a 20′ long Wild Wood camper. It has all that is needed for camping. If interested, or for more details, please call 903-885-6676. For Sale: a “clean” white microwave. Only used for about two months. Asking $20.00 for it. If interested, or for more info., please call 903-441-4517. Wanting: a good used sofa bed for a family in need. If you have one you no longer need, or for more details, please call 281-787-2779. For Sale: (A list of six items.) #1.) a “beautiful” brown leather sofa/love seat combination. Asking $400.00 OBO. #2.) a western wood queen size bed. Asking $225.00 OBO. #3.) matching western wood nightstands. #4.) two extra long twin size beds with mattresses and box springs. They are “almost new.” Asking $150.00 each. #5.) Also, for sale, two antique dressers for $75.00 each, OBO. #6.) And, many other items for sale. If interested, or for a complete list of items for sale, call 214-728-7222. For Sale: a Double Maple dresser and mirror. Asking $100.00 for it. Also, for sale, a Hardrock Maple Dining Table and six chairs. Asking $400.00 for the set. And, a King size bed frame for $40.00. If interested, or for more info., please call 903-348-5820. For Sale: a 50 gallon fish tank. This party set it up but decided it was too small for what they needed. “No cracks.” Includes the pump, rocks, and flowers. Asking $100.00 for it all. Also, for sale, a Back and Decker Juicer. “Used only once.” Asking $15.00 for it. If interested, or for more info., please call, or text, 903-441-4517. Leave a message if no answer. For Sale: used carpet. “It’s in perfect condition.” This party is remodeling. Room size is 15′ X 13 and a half feet. The carpet is gray tweed. Asking $100.00 for it. Also, for sale, laminate locking wood floor pieces. “Like new.” Oak looking color. Room size 16′ X 23′. Asking $300.00 for it all. And, also for sale, a beige wide soft corduroy love seat. “Perfect condition.” Asking $150.00 for it. If intetested in any of these items, or for more info., please call 903-348-5820. For Sale Like new Justin cowboy boots size 9 1/2 D, $75.00 Several Pkg’s of 20 Pull Up Briefs for elderly $7.50 each Call 903-885-3420 Laminate locking wood flooring, we are remodeling and must remove. Color is tidewater oak approx 400 sqft. $400. 903 348 5820. Free to good home, part Blue Healer part lab, see at 806 Alabama St, apt 1. 903 335 8424 Upright freezer $80 920-426-0020 For Sale: a 20′ long Wild Wood camper. It has all that is needed for camping. If interested, or for more details, please call 903-885-6676. For Sale: a “clean” white microwave. Only used for about two months. Asking $20.00 for it. If interested, or for more info., please call 903-441-4517. Wanting: a good used sofa bed for a family in need. If you have one you no longer need, or for more details, please call 281-787-2779. For Sale: (A list of six items.) #1.) a “beautiful” brown leather sofa/love seat combination. Asking $400.00 OBO. #2.) a western wood queen size bed. Asking $225.00 OBO. #3.) matching western wood nightstands. #4.) two extra long twin size beds with mattresses and box springs. They are “almost new.” Asking $150.00 each. #5.) Also, for sale, two antique dressers for $75.00 each, OBO. #6.) And, many other items for sale. If interested, or for a complete list of items for sale, call 214-728-7222. For Sale: a Double Maple dresser and mirror. Asking $100.00 for it. Also, for sale, a Hardrock Maple Dining Table and six chairs. Asking $400.00 for the set. And, a King size bed frame for $40.00. If interested, or for more info., please call 903-348-5820. For Sale: a 50 gallon fish tank. This party set it up but decided it was too small for what they needed. “No cracks.” Includes the pump, rocks, and flowers. Asking $100.00 for it all. Also, for sale, a Back and Decker Juicer. “Used only once.” Asking $15.00 for it. If interested, or for more info., please call, or text, 903-441-4517. Leave a message if no answer.